This e liquid is so good it could have been "cooked" by Walter himself. Heisenberg consists of a secret receipe that we can describe as fruity undertones with a cooling agent that is very much an all day vape. Heisenberg is supplied as a guest e liquid from Vampire Vapes and we highly recommend trying this fantastic e liquid today. Amazing and authentic vampire vapes Heisenberg. Available in 18mg, 12mg, 6mg & 0mg. Mix ratio is 60 PG / 40 VG. 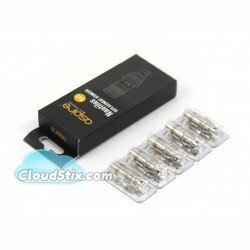 Pinkman 10ml High VG To be used in Sub Ohm tanks or Drippers only. The famous Pinkman e .. Strawberry and Kiwi E liquid Enjoy the refreshing blend of juicy strawberries and exotic kiwi fru..
Our Berry Mix flavoured e liquid provides users with an unbeatable, mouth watering mixed berry taste.. Tropical Storm E Liquid Imagine this; delicious tropical fruit that comes through in bundles on t..
Orange Passion E Liquid Imagine a famous soft drink orange and passion fruit flavour that tastes ..